Jonemaan wrote: I don't mind that amateur games are being sold, but I do mind the solid border between the end of the official MSX era and after. Even 15 years ago, when ROM games were still being sold, many people were trading hacked Konami's. This behaviour is inexistant nowadays. Although this trading is not right, and might be considered warez, this sudden change to legality is the reason why many people, me included, haven't played eg. Akin (yet). I think we should all be glad large-scale piracy of new products is over. I don't think we should draw a border between commercial and amateur products. What I think happened is that people realised piracy was partly responsible for the 'death' of MSX. We (the scene) developed a collective conciousness that does not allow large-scale piracy of NEW (!) products. Whether or not these new products are from commercial companies or hobbyist individuals does not matter. Ofcourse piracy is still happening. I have to admit that amongst the piles of new MSX software I bought over the last few years, I pirated a few games too. However, I firmly believe in supporting developments and MSX groups and have bought several products for support only. This change in the MSX community is not completely correct. For example, several groups are selling translations of copyrighted MSX games, which is plainly illegal considering the fact that they are selling the game with it. I'd much prefer this being done the legal way: releasing translations as IPS patches for free, like it's being done in every other 'scene': NES, SNES, etc. 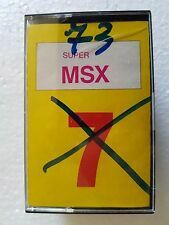 While I partially agree with you here, there is no IPS patcher for MSX. Besides these translations are from games that were already pirated heavily before the new anti-piracy attitude came. The games are out there and nobody that buys the translations doesn't already have the games either pirated or original. I agree on your first point, the original reason I posted that was to point out that not all voters of 'best MSX2 game' have played such games. We don't need an IPS patcher for the MSX. I assume that everyone here has access to a PC with a floppydrive and internet, they can ask a friend otherwise. 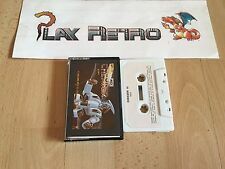 You interpreted my original post wrongly (or I said too little): I don't mind that amateur games are being sold, but I do mind the solid border between the end of the official MSX era and after. That is not what I wanted to point out 'Jonemaan'. I was referring to the fact that the large number of sales of Akin says something about the so called unkown game with the name of Akin. I doubt that , thus ! It feels different copying something that is made by a faceless company, or copying something made by people you meet at MSX fairs you visit. Amateur products are sold in lower numbers, so one extra sale does make a difference. Ofcourse these reasons don't matter from a legal point of view, but human behaviour works differently. 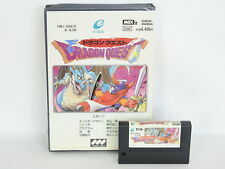 About selling translated games: How do you patch a ROM cartridge? And patching disks is not always easy either, because most originals are copy protected. Selling the translation pre-applied is a lot more convenient. It's clear people are not paying for the game itself, since every well-known MSX game can be found on the net. Most amateur games can still be acquired in a legal way, however with most older commercial products that's not possible anymore. Well, unless you count eBay. That's the difference for me. If a certain product isn't available anymore, I personally have no problem with copying it, no matter if it's an amateur or commercial product. MSX isn't an extremely expensive hobby (I spend more on my PC and anime), so paying for the occasional game that is released shouldn't be a problem and both supports the developers and shows them that you care. You can still buy Akin from Sunrise, and its price of 11,35 euro's is a giveaway for such an extremely cool game. well, at lest sony has started several courtcases against 2nd hand videogame stores, stating selling 2nd hand games as illegal. The consensus about current console software seems to be that ~80% is crap. Ofcourse, bad games have a right to exist too, and I'm sure in many cases the developers involved were actually trying to make something good. The actual PROBLEM here is that these bad games cost just as much as top-quality games! Let's compare this to MSX, back in the 80's. You could buy collections of small games on tape for ~4 euros, then there were lots of games that were ~7 euros, either on disk or tape. Note these were mostly all 'unlicensed' games, meaning they did not portray any movie/cartoon characters. A licensed game like the Flintstones was still only ~15 euros, just like a lot of other good-quality productions. And then, the most expensive games, costing as much as ~35 euros were the cartridge-based Konami games. Compare this to current console game prices. They're artificially kept high and even when taking inflation into account, most of them are just too expensive! With current console piracy rampant, maybe the key to avoiding it is keeping software reasonably priced? Just like most mp3-pirates call for reasonably priced CD's. Also, most games pirated in the MSX scene were games that were not available in europe. So, software should also be AVAILABLE. I think with the internet and the ease of which you can order products outside your own country nowadays makes all of this possible. Reasonably priced, always available software. I don't think prices should be proportional to the quality of a game as this is very subjective. However, I do think it should be proportional to the length of a game. I.e. small games should cost less, which is not the case now as the prices are mostly fixed. Could you give an example of that, because as far as I know console games have become cheaper during the last decade. In 1994, SNES games were 150 - 180 GLD (~ 65 - 75 euros, excl. inflation). Nowadays, PS2/Xbox/GC games eat 60 - 70 euros from my wallet. Because of the more complex nature of today's games, the development requires more money. I don't think prices should be proportional to the quality of a game as this is very subjective. Bad games are usually quick 2-month jobs. The development costs are far lower, and that can be reflected in the pricing. In 1994, SNES games were 150 - 180 GLD (~ 65 - 75 euros, excl. inflation). I don't know where you bought your SNES games but I never payed more than ~55 euros, only import games were that expensive. Still, they are cartridge-based games. Producing CD's/DVD is almost for free compared to the costs of cartridges. Ofcourse, those prices were kept artificially high by Nintendo too, there is no free market in Sony/Nintendo/Microsoft games! D'accord, 55 euros (except for DKC, ISS, etc). Hence, 55 euros in 1993 = (1.02^10)*55 = 66 euros in 2003. You're right.. No increase as opposed to the already artificially high SNES prices.. But lets look at the MSX prices... Let's take a 3% inflation, which is probably too high. Compare prices of 1987 to now. Cheap cassette game was NLG ~10, would be EUR ~7.25 now. Cheap disk game was NLG ~15, would be EUR ~11 now. A good average gameprice was NLG ~35, would be EUR ~25.50 now. Also take into account development costs were lower back then, but sales were also extremely low compared to present times. So now it is easier to win your development costs back and make a profit.